In New York State, school buses are required to have lap belts but it is up to each district if kids must wear them. Pei-Sze Cheng reports. Before the school year begins in Yonkers Public Schools, the youngest students board a school bus for life-saving lessons: they learn to board the bus, exit the bus in an emergency and they learn to buckle up. "If they are required to wear a seatbelt in the car with their parents, they should be required to wear a seatbelt on the bus as well,” said parent Genell Lloyd. Sounds logical, but not the law, as the I-Team has learned. In New York State, school buses are required to have lap belts but it is up to each district if kids must wear them. In Yonkers, pre-K, kindergarteners, and first grade students must wear seat belts, but after that, kids are on their own. 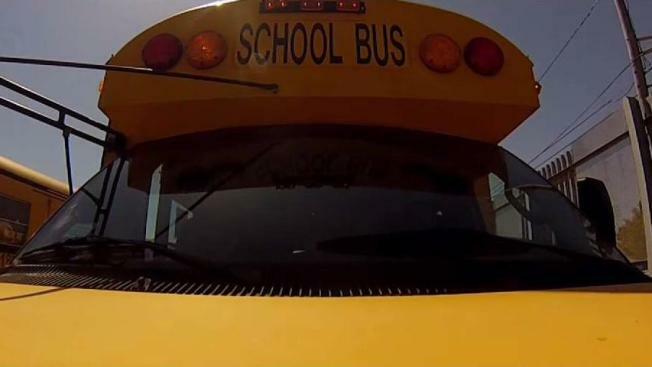 Out of 733 school districts in the state, only about twenty of them require students wear seat belts, according to the New York Association for Pupil Transportation. That’s one reason the association is opposed to a bill in Albany that would make seat-belt use mandatory. But more importantly, it cites federal research that the size and design of large buses, not belts, best protect kids in a crash. “It’s the safest way to get kids to school,” said Mannella. In May, just after a deadly school bus crash in New Jersey, in which all the students were wearing lap belts, the NTSB called for all new buses to have 3-point shoulder belts. Videos from seat belt manufacturers shows the life-saving difference in a rollover crash. While New Jersey quickly moved to make shoulder belts the law, there has been no rush in Albany. Carlucci has drafted a bill to mandate three point shoulder belts on buses and make it a law that all students wear it. But already there has been pushback. Parents in New York can call your school to ask about the seat belt requirements and talk to your kids about buckling up. Connecticut is one of the many states that does not yet require seat belts on buses.